End of another month. Time to make that donation to Stand Up2 Cancer. May not look like a lot yet, but I figure by the end of the year I will have donated more than if I just wrote a check today. I will also have reduced my personal risk of cancer in the process, regular exercise and proper diet are awesome cancer preventers. I love the power of fighting back, even in a small way. 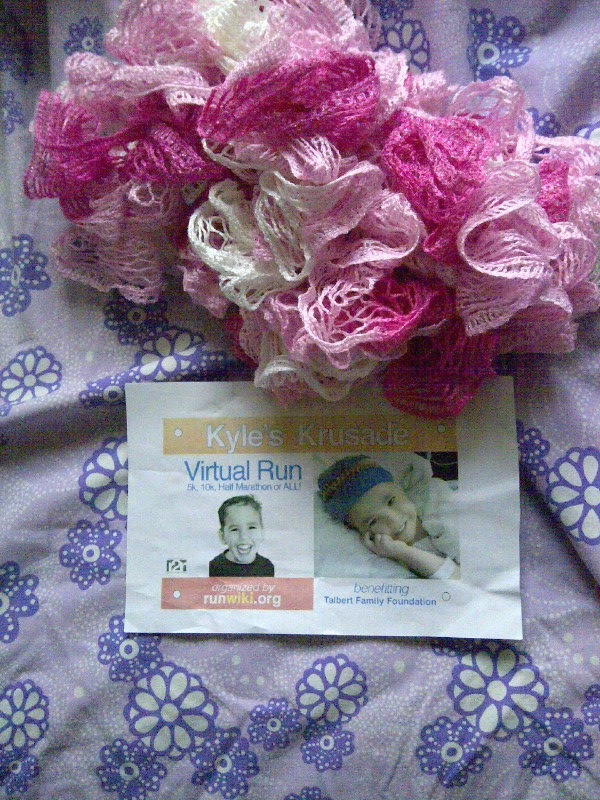 I scheduled to run Kyle's Krusade virtual 5k while I was in Washington at my sister's place. I wanted to run for her while I was with her. I really wanted her to know I am committed to this, to her, and not just lip service. Before we left I printed off my racing bib and packed it with some safety pins. The day we were leaving Billy's amazing cousin Mona gifted me with a pink scarf for wear when I race. She made it just for me and my cancer races, so beautiful. The day of the race came I felt a little self conscious, or maybe a lot. I was in an area I don't know, with more hills than home and more traffic too. I waffled on putting on the bib and the scarf, I mean it is a virtual race no one else is running with me. My sister will think I am incredibly weird wearing tights, bright pink scarf and a piece of paper pinned to my chest. Better yet I am going to be wearing this funny outfit running through her neighborhood! I am My Sister's Runner, 100% committed to this! I put on my funny clothes bright ruffle scarf and racing bib. I walked to the end of the driveway. Set my Garmin... And I raced. 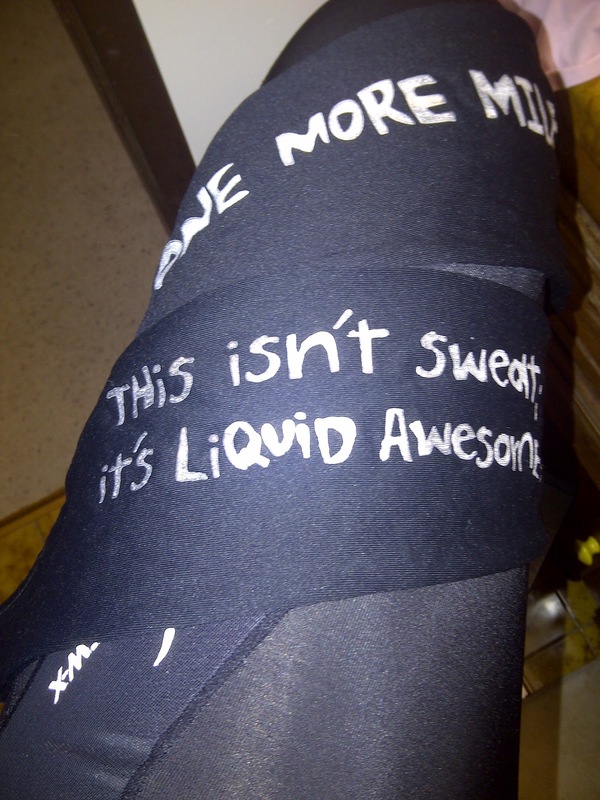 My Bib & Scarf. Beautiful! What I learned that day is what other people think doesn't matter. Giving all to my commitment does, and whether I race alone or in a pack I race for my sister. Next time you see someone running down the road with a piece of paper pinned to their chest they are racing, take a moment to cheer them on. We racers like the encouragement.